In a clear and concise language, Mark Graham endeavours to show in his book How Islam Created the Modern World the decisive influence of the civilisation of Islam in setting the stage for the modern world. Review of How Islam Created the Modern World by Mark Graham. Beltsville, Maryland: Amana Publications, 2006. Hardcover, 208 pages. ISBN-10: 1590080432 - ISBN-13: 978-1590080436. Figure 1: Front cover of How Islam Created the Modern World by Mark Graham (2006). The picture depicts al-Razi stained on a glass window in Princeton University Chapel. For several centuries, corresponding to the European Middle Ages, Baghdad was the intellectual center of the world. It was there that a huge community of translators and scholars appropriated in Arabic culture the knowledge of ancient civilisations and combined it with the cultural traditions and imperatives of the Islamic context to create a scientific, mathematical and philosophical golden age. This golden age of Islam embraced all the products of human spirit practiced at that time, including different scientific disciplines, medicine, symbolic and artistic creation, social organisation and material culture, including productive branches12 of applied knowledge in industry, architecture and the making of instruments. These accomplishments were so numerous and original that they realised an unprecedented stage of civilisation and occupied a high rank in human creation. Being unique and at the front of inventivity, they gained the admiration of other peoples who were aware of the existence of these treasures. Hence a dynamic process of transmission was set up between the Muslim and the Latin worlds all over the Mediterranean coasts. This transfer process was progressive and uninterrupted for several centuries, mainly in the Andalus, but also in Sicily, Southern France and in the Middle East during the Crusades. It is this story of civilisation that Mark Graham describes in his book. Who would have thought an Edgar-winning mystery novelist could explain to us in clear, concise language that without Islam, western civilization as we know it might not exist? Underlying that dramatic proposition is an important thesis: The ongoing debate about a supposed "clash of civilizations" misses the reality that Islam and the West developed from essentially the same roots and, despite their rivalry, helped each other in profound ways along the path to "civilisation". In fact, the West and Islam can be viewed as merely different faces of the same civilization. He explains how Arabic-speaking Muslims not only preserved the scientific and philosophical knowledge of the Greeks but also "made it their own", greatly extending and improving on it. For example, the newly developed concepts of Andalusian philosopher Ibn Rushd (Averroes) found their way into western universities, where they were viewed as challenges to church orthodoxy and ushered in the beginnings of the scientific method. 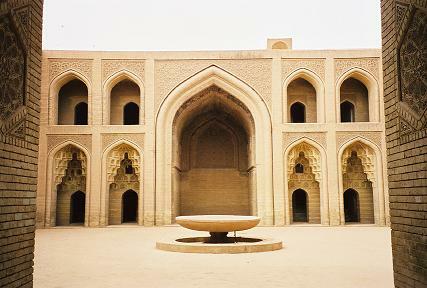 Figure 3: The building of a library in present day Baghdad, named after Bayt al-Hikma; courtyard view, Abbasid-era portion (Source). This picture belongs to the collection of photographs taken by Nabil al-Tikriti, a doctoral candidate in the Department of Near Eastern Languages and Civilizations at the University of Chicago to document damage to libraries in Iraq during and after the war in April 2003. The photographs accompany his report: Iraq Manuscript Collections, Archives, & Libraries: Situation Report, dated 8 June 2003. Muslim thinkers, poets and scientists set the stage for the European Renaissance: Graham points out specific borrowings in Dante's Divine Comedy from the works of the great Andalusian writer Ibn ‘Arabi, and shows how these intercultural transfers were likely mediated by Dante's mentor Brunetto Latini, who had brought back learning from the libraries of Toledo, where, even after the Christian reconquista Muslims and Christians continued to live together and to work along the same paths as when the Muslims were the rulers of the Iberian peninsula. In other places of his book, Graham shows more concrete ways in which the West is indebted to Islam: A Mongol invasion of Europe was thwarted when Egypt's Mamluk army defeated the Mongols at ‘Ain Jalut, Palestine, in 1260. Imagine how different the West would be today if the Mongols had triumphed! As it turned out, the West never again faced the threat of Mongol invasion after ‘Ain Jalut, and the breather which thus provided Europe a chance to absorb what Graham terms "the other great gift of Islam—knowledge". Figure 4: Muhammad ibn Rushd (Averroes) editor of Aristotle's works in Latin translation, published in Italy in 1550-1553: Aristoteles Omnia quae exstant opera… Averrois Cordubensis in ea opera commentarii, aliique ipsius in logica, philosophia, & medicina libri… 11 volumes bound in 6. Venice: apud Iuntas, 1550-1552. ( Source). Mark Graham is a mystery novelist whose works were translated in several languages. He is the winner of the Edgar award. He studied medieval history and religious studies at Connecticut College and has a Master's degree in English literature from Kutztown University. He lives in the Lehigh Valley, Pennsylvania. "Centuries in the House of Wisdom", The Guardian, Thursday September 23, 2004. Online here. "Ibn Tufayl, Abu Bakr Muhammad (before 1110-85)", online here. Islam and Islamic History in Arabia and The Middle East: The Legacy. Online here. MacDonald, Duncan B. Development of Muslim Theology, Jurisprudence and Constitutional Theory . Online on The Internet Sacred Text Archive here. Morgan, Michael Hamilton, Lost History: the Enduring Legacy of Muslim Scientists, Thinkers and Artists. Washington DC: The National Geographic Books 2007. Lost History Home: here. Leaman, Oliver1998. "Islamic philosophy", in E. Craig (Ed. ), Routledge Encyclopedia of Philosophy. London: Routledge. Retrieved August 23, 2007, from here. Wallace-Murphy, Tim, What Islam Did For Us: Understanding Islam's Contribution to Western Civilization. London: Watkins Publishing, 2006.